When it comes to opportunities as a woman, location matters. 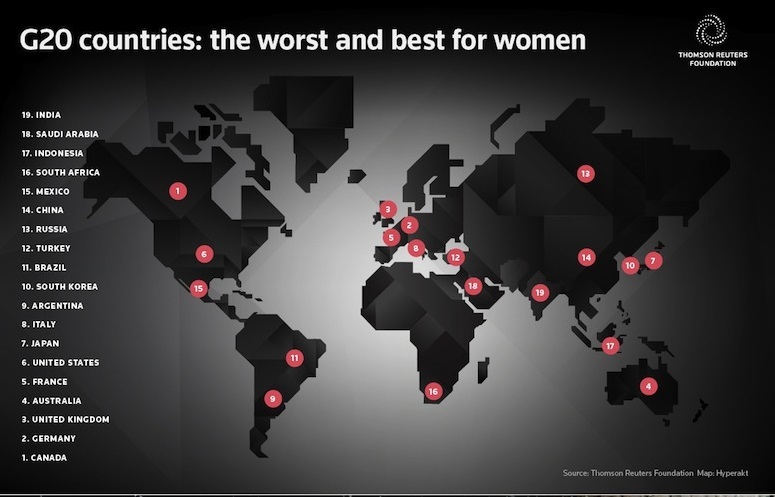 A new poll, conducted by Trust Law, a Thomson Reuters legal news service, set out to answer which countries offer their female citizens the best quality of life. Click below to see the results. Click here to view the infographic in full.